Posted by Sam Smith on Friday, June 28th, 2013 at 11:04am. 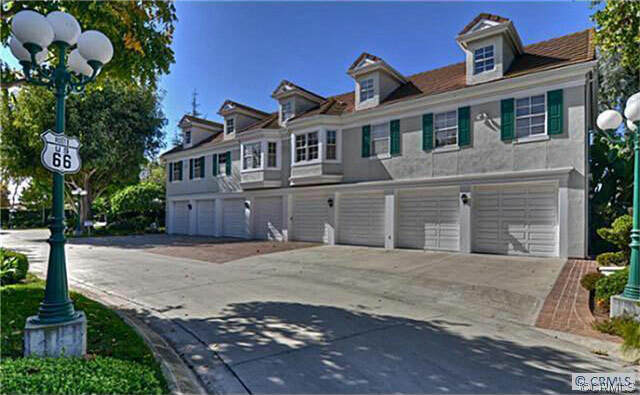 Newport Beach is a great mixture of many architectural styles from grand Tuscan and Mediterranean style estates to Tudor style homes in the Harbor Estates community. One architectural style you don't see that often is the grand Plantation style that is commonly seen in the South part of the United States. 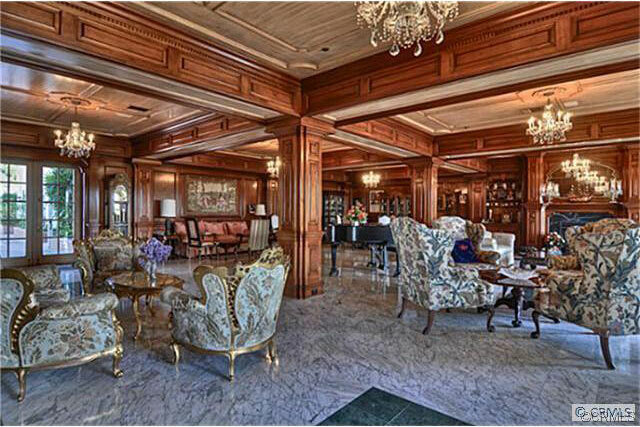 Located in the West Bay area of Newport Beach, California is such an estate. Inspired after the mansion known as "Tara" in the classic film "Gone with the Wind," the home a true to impress from both the outside and inside of the home. The compound cover 3.6 acres that overlooks the back bay in Newport Beach and is currently listed for sale for $10,900,000. 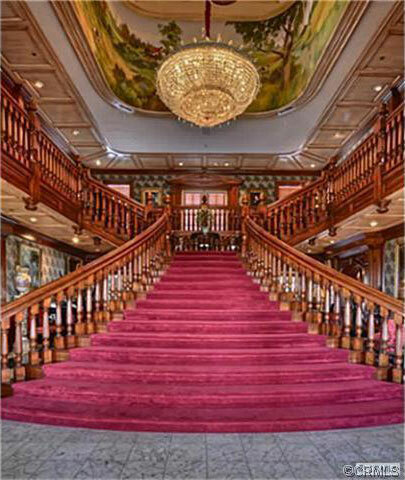 The home is truly breathtaking as you enter the home with a large imported chandelier and grand staircase that takes you to the 2nd level of the home. Beautiful wood work is reminiscent of earlier times with a recessed ceiling with beautiful hand painted murals. The home has 15,000 square feet of living space one 3 different levels that can also be accessed by an elevator. In additional 2,500 square foot separate apartment is included in the sale. 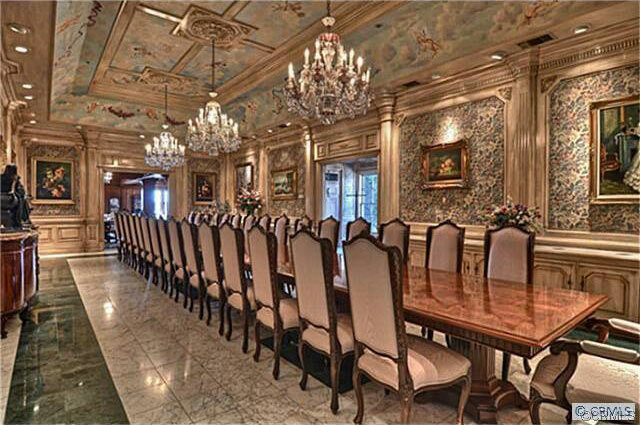 The dining room is sure to impress with formal accents and room to seat 32 guests at your next dinner party. The home also features in an industrial size catering kitchen and three separate compounds that include a workshop, office building, apartment and gym over an 8 car garage with an additional 8 car garage with 2 apartments above that. For those interested in learning more about this grand style home for sale please contact us today at 949-444-1901. Below is additional information regarding this home.